Size: 800 - 3000 mm. Broach Length. We are offering Hydraulic Vertical Broaching Machine to our clients. We are manufacturer of all type of broaching machine. With years of experience in this domain, we manufacture and supply an excellent range of Hydraulic Broaching Machine. Our offered range is manufactured from using superior quality components and advanced technology. Non-interrupted performance, long operational life and reliability are some of the features of offered machine. - Max. Stroke: 1000 MM./1500 MM. 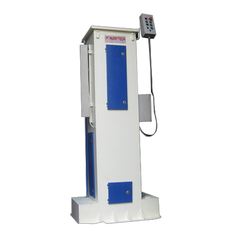 We are among the genuine manufacturers of optimum quality Vertical Broaching Machine. Offered machines are manufactured under strict supervision in accordance with industry set norms and parameters. The machines we offer are acknowledged among the clients for their hassle-free installation, optimum performance and longer functional life. We are offering HMT Broaching Machine to our clients. - The machine is designed with a unitary construction. Brand: Conveying Machines Manufacturing Co.
- Extremely flexible method for cutting virtually any internal shapes or forms, such as keyways, splines, squares, hexes, etc. Owing to highly advanced infrastructural setup, we are offering a precision-engineered assortment of Hydraulic Horizontal Broaching Machine. Our offered product is designed at state-of-art production unit.